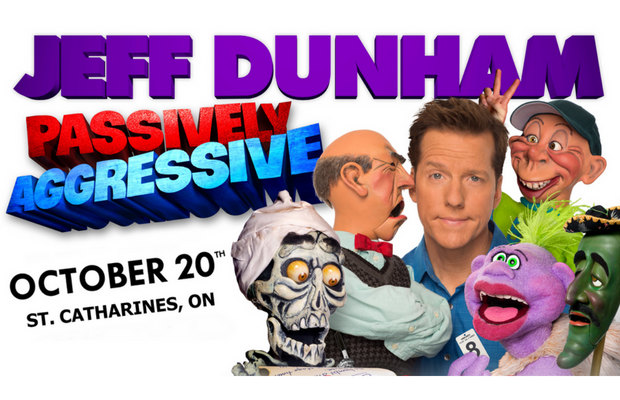 Acclaimed ventriloquist and comedian Jeff Dunham performs in St. Catharines on October 20th. Join us for an evening of laughter and unforgettable entertainment for one night only! Named "one of the most powerful entertainers" by Forbes Magazine, funnyman Jeff Dunham is best known for his acclaimed ventriloquism and highly popular comedy series including Arguing With Myself, Spark Of Insanity, and The Jeff Dunham Show as well as appearances on 30 Rock and Dinner for Schmucks. Join us for an evening of laughter and unforgettable personalities. See you at the show!